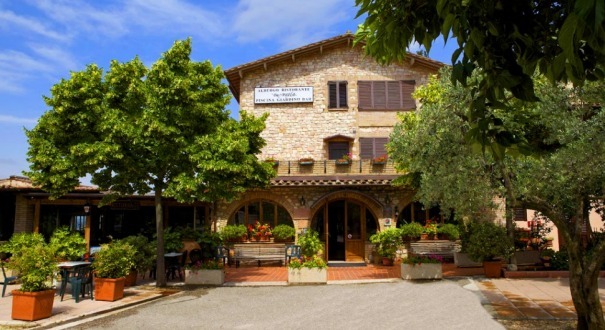 In the green heart of Umbria, in the land of San Francesco and Santa Chiara of Assisi, is located our Hotel Restaurant Da Angelo, down the Natural Park of Mount Subasio in Assisi. Umbria is a land of Peace and serenity now more than ever appears to be a point of reference for all those who want to rediscover their own wellness and spirituality. Art, history, spirituality, good food and relaxation; are words that can sum up what our land and our home can offer, which since 1955 continues a family tradition of hospitality. Every part, every corner of our city revives intense emotions, that in our daily lives are lost. Walks, guided tours of cities and museums, can be easily switch to sports, rafting, horseback riding, hiking, mountain biking, paragliding, swimming. In the cuisine of our hotel restaurant, is of great importance, as in a farm, the search for local and typical Umbrian products to offer to our customers. Famous and precious wines, meats, sausages, cheeses, vegetables, Truffles, Extra Virgin Olive Oil, and all other products are always the best calling card in our restaurant and pizzeria. From Hotel Da Angelo you can quickly reach: The Lake Trasimeno, Perugia, Gubbio, Spello, Bevagna, Spoleto, Montefalco, Todi, Città della Pieve, Corciano, Trevi, Cascia, Norcia, the Marmore Falls, Narni, Orvieto, Torgiano, each of these places has their own tradition, a characteristic, their own unique personality that is worth discovering. 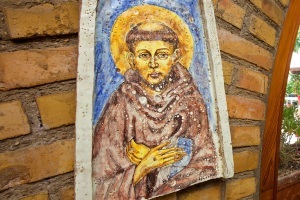 You can also take advantage of promotions and last minute discounts that Da Angelo Hotel offers, you can attend popular events including: The Calendimaggio of Assisi, the medieval market of the Gaite in Bevagna, the Feast of Saint Francis, the Corsa dei Ceri in Gubbio, the feast of St. Rita of Cascia, Eurochoccolate in Perugia, The floral decorations in Spello, the Feast of Saint Valentine in Terni, Umbria Jazz, the Festival of Two Worlds in Spoleto, the festivities of Easter and Christmas with The Famous Living Nativity, and many other interesting attractions, such as the Città della Domenica for the youngsters. For your ideal travel options; by yourself, with family or with a travel group; to stay for long or a short period, to be on a bed and breakfast, a half board or a full board, visit our website for more information. Both comments and pings are currently closed. This article has been read 17,972 times.